Creator of the modern female private eye story, Marcia Muller has been writing novels and short stories about Sharon McCone since 1977. In the process, McCone has gained a host of associates and formed her own detective agency. Some seven years ago, Marcia Muller decided to show readers different views of her sleuth by relating cases through the eyes of McCone's colleagues. 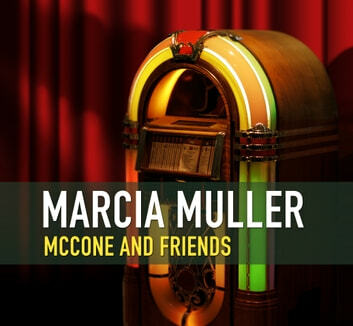 McCone and Friends contains three stories told by McCone herself, as well as a novella and a short story narrated by the agency's investigator Rae Kelleher, a story from the viewpoint of its office manager Ted Smalley, an investigation conducted by McCone's nephew Mick Savage, and one by her long-term lover Hy Ripinsky. The settings range from small planes to a sweatshop which puts Asian women into virtual slavery, and the mysteries surround a 1950s jukebox in a rundown hotel and a sculpture welded together by a long-missing and now very-dead artist. In perhaps the most moving story of all, a teenage girl has vanished leaving as a clue only a collage on her wall. 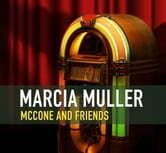 McCone and Friends shows why Marcia Muller is one of the greatest mystery writers of our generation.